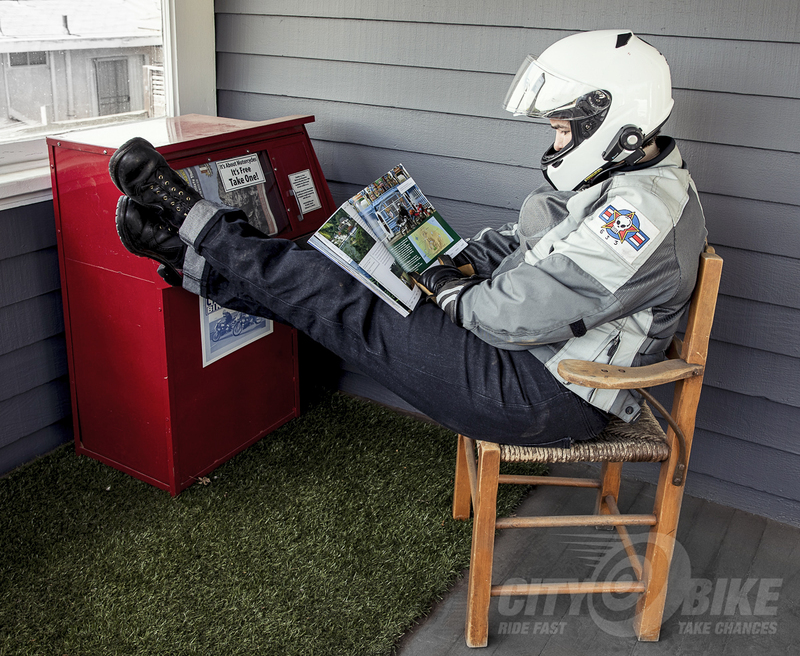 Like most riders I know, I spend far too much time daydreaming about “the perfect trip.” It’s different for every motorcyclist. Heck, for me, it’s different every daydream. In Magnificent Motorcycle Trips of the World, veteran motorcycle traveler Colette Coleman offers up 38 such daydreams, building blocks to plan you next adventure. The trips span six continents (as cool as it would be, riding in Antarctica seems logistically daunting) and 31 countries, everything from the popular and oft-visited like Italy, Thailand, USA, and Morocco to more off-the-beaten-path destinations such as Sri Lanka, Norway and Kenya. The photography in this book is lovely, very well curated—coffee table material for sure. It’s a mix of personal shots from Coleman and her husband’s extensive travels, photos from other world travelers, promo shots from motorcycle tour companies all over the world, and stock photography. The inclusion of stock photography could be cause to turn up one’s nose, but it’s well chosen, and gives a great sense of place to the itineraries she’s laid out. Coleman includes a little blurb with each route, with comments about bikes (bringing your own versus renting one versus joining a tour), the weather and best time to visit each area, and potential connections to other routes in the book. I am disappointed by her lack of specific recommendations for tour companies and bike rental shops, though I understand that any such recommendations could be out of date before the book even went to press. Still, “You can hire bikes in Osorno. There are also operators offering bike-inclusive tours” feels like a bit of a copout. More detail on the process of renting a bike or transporting your own to another country would be welcome. Magnificent Motorcycle Trips of the World is a great book of daydreams. I know I’ll be returning to the Iceland section again and again, and that’s just one of many. Thailand, Mongolia, Namibia, and the rest—they all call to me. The book offers a taste, a jumping off point for further research, an idea of the places one could go. It’s not a full plan for the perfect trip, but it’s a place to start. $19.99. Soft cover, 208 pages, 8” x 10.2”. Grab your own copy at Amazon.com. This story originally appeared in our July 2018 issue.